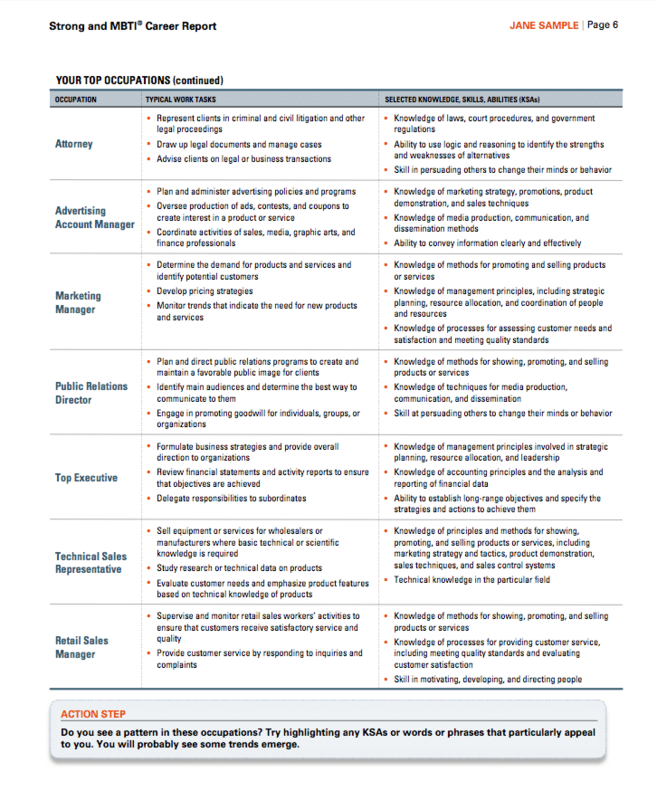 The Strong Interest Inventory® is the world’s most trusted and widely used career planning tool. 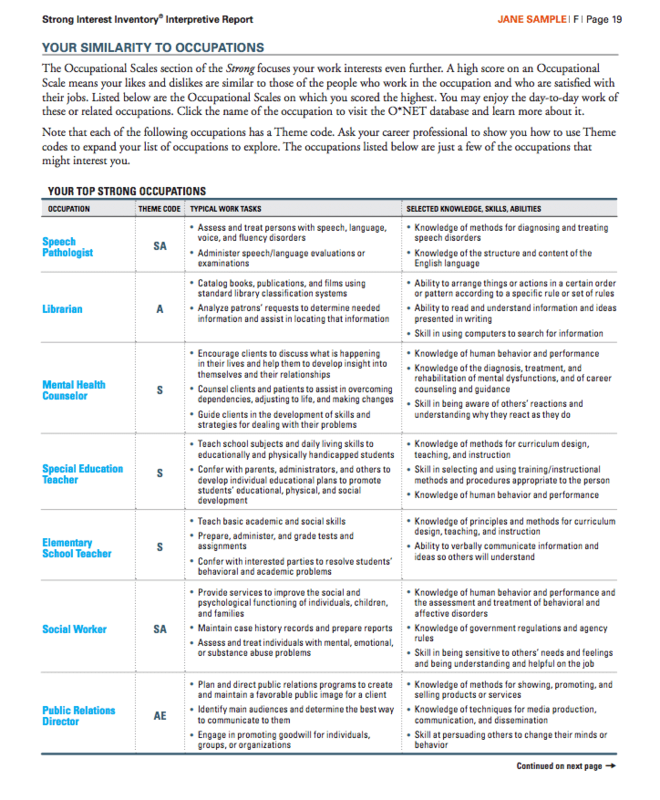 Whether you’re working with clients looking for help with a career transition, or with students looking to explore their career options, the Strong assessment has a report to enhance the process. View our collection of Strong reports below, or call us at 1.800.661.5158 for help getting started. Empower your clients to do more of what they like and achieve greater satisfaction at work and in life. 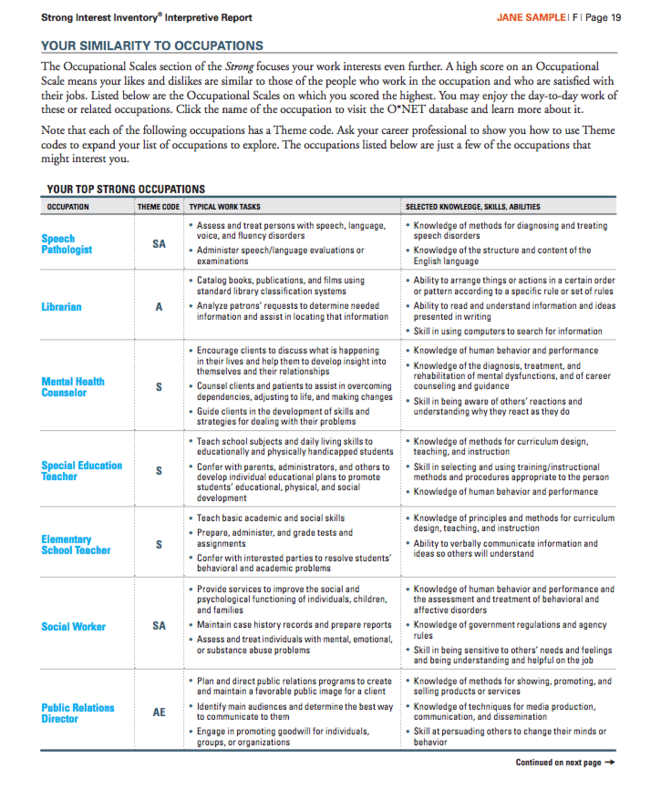 Summarizes occupations and educational programs linked to your students' interests. 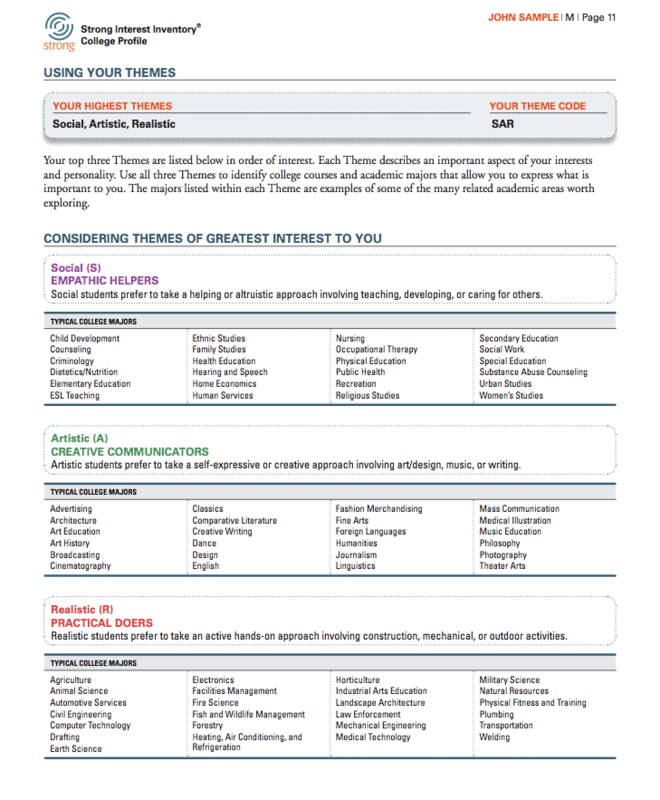 Provide students with step-by-step advice on how to evaluate academic majors that fit their interests and preferences. Assist your clients through the career exploration process, and help them achieve greater satisfaction in work and life. 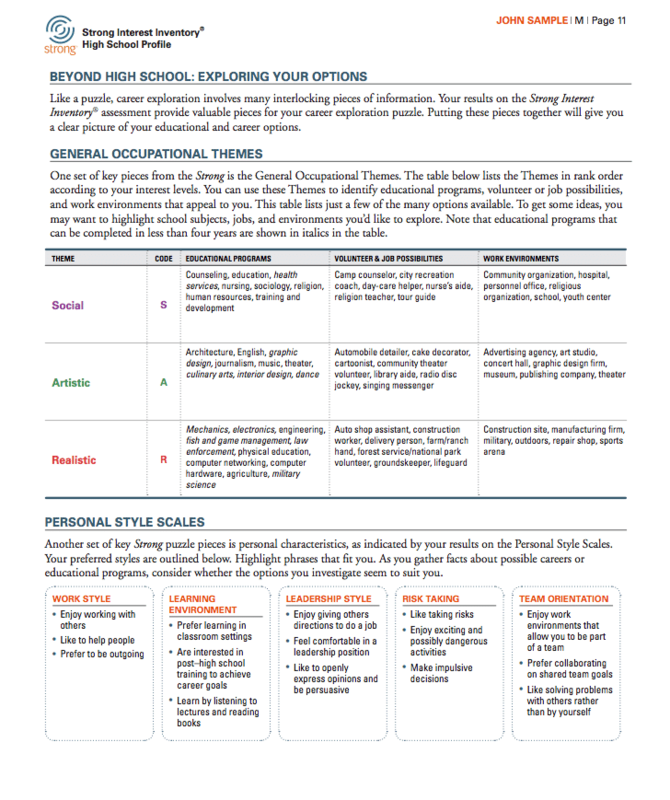 Builds on the Strong Profile, High School Edition by applying key learnings to create a roadmap for exploring a rewarding life of work and leisure. 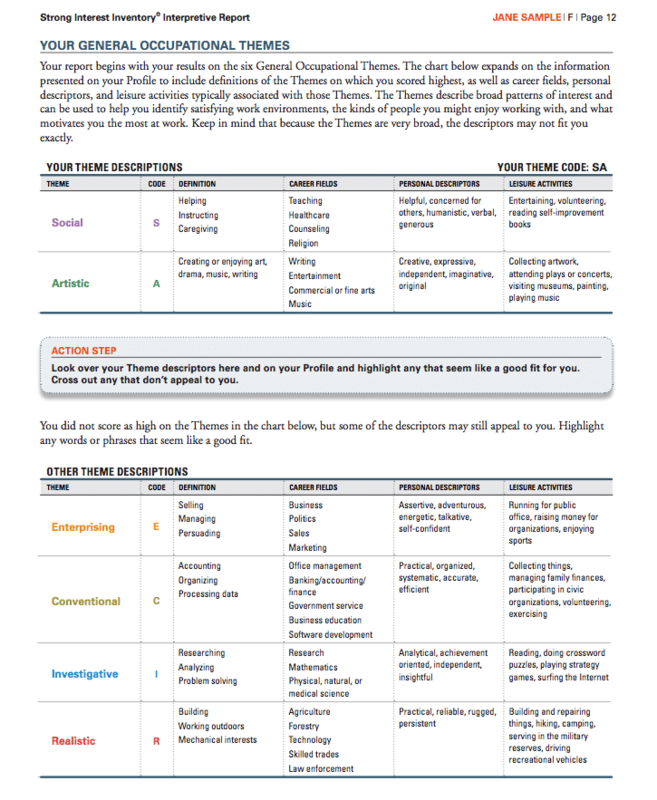 Builds on the Strong Profile, College Edition by applying key learnings to create a roadmap for exploring a rewarding life of work and leisure. 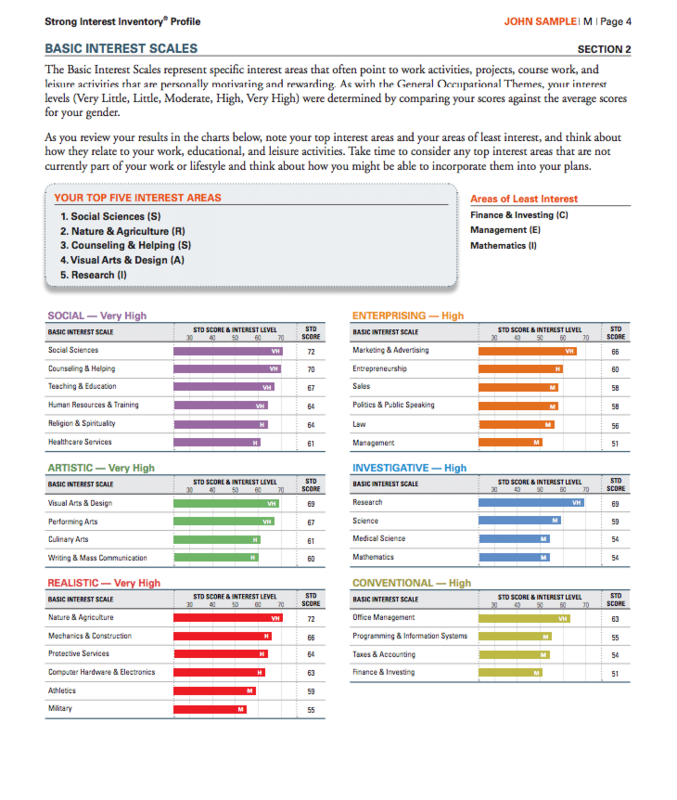 An important tool for exploring how self-assurance may be influencing your clients' occupational, educational and leisure choices. An important tool for exploring how self-assurance may be influencing your students' occupational, educational and leisure choices. 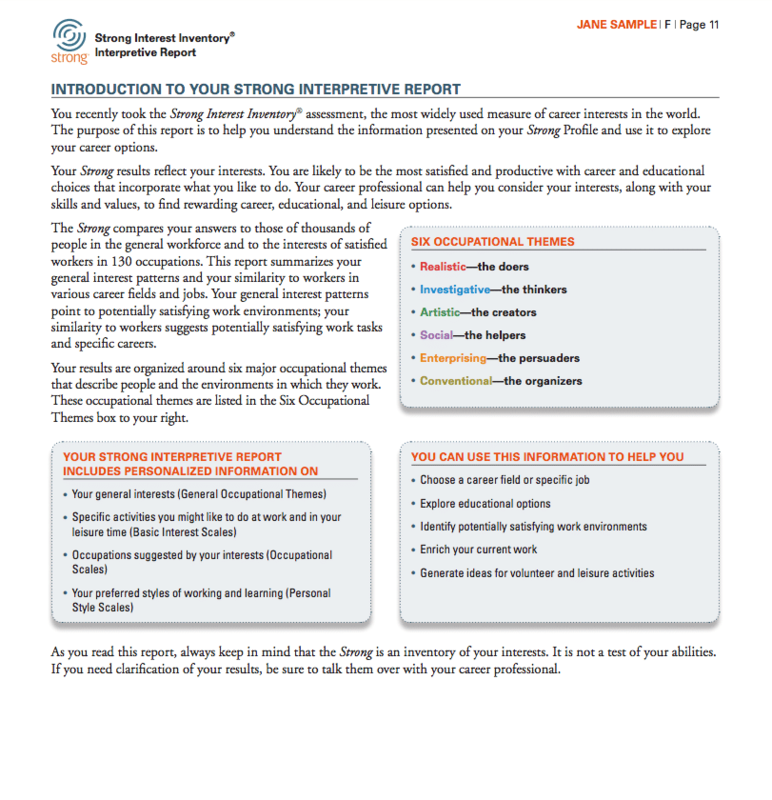 Building on the Strong Profile and Interpretive Report, this is a key tool for exploring how self-assurance may be influencing your clients' choices. 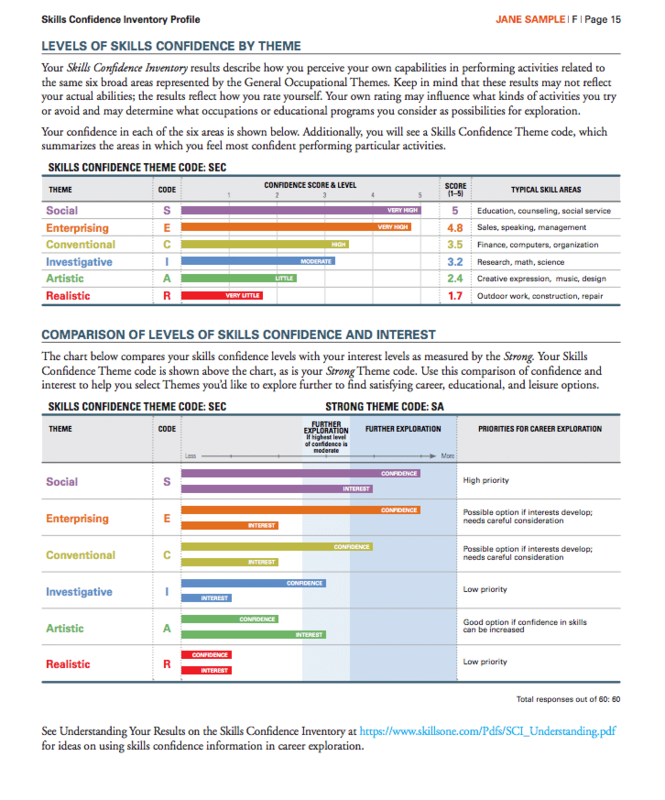 Building on the Strong Profile, College Edition, this is a key tool for exploring how self-assurance may be influencing your students' choices. 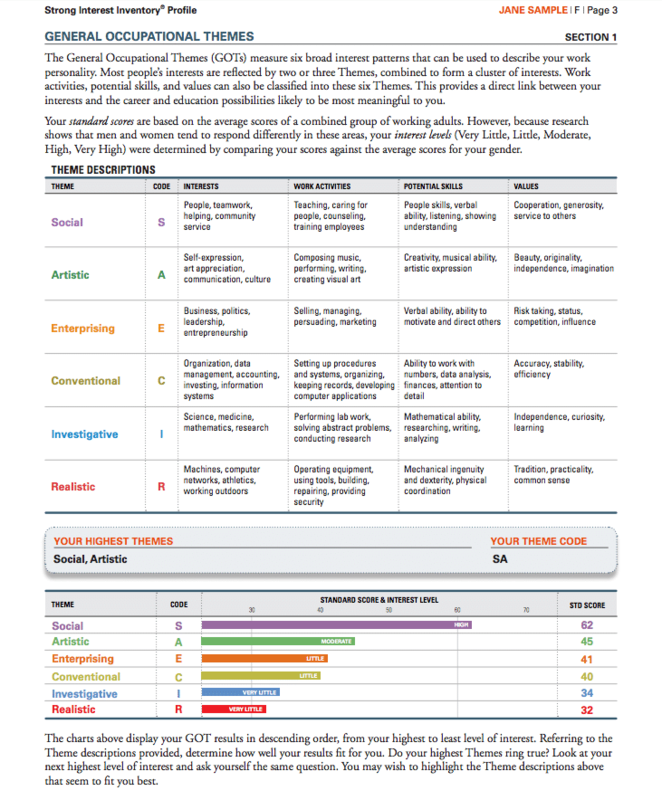 Integrates detailed job interest information with personality preferences. 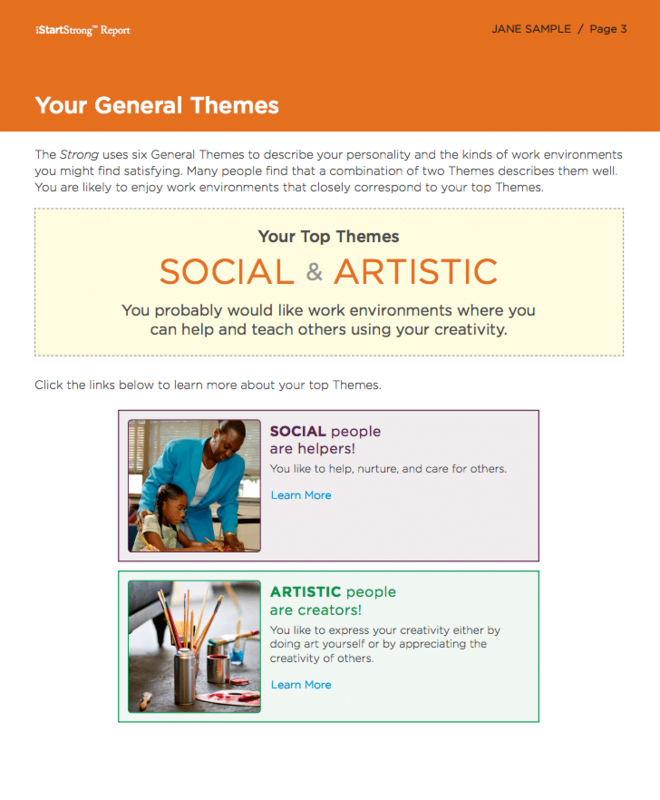 Clearly identifies how one's interests and themes link to various jobs, work settings, and career fields.